David Garcia, former chief information officer for the state of Maryland, has been appointed to the same position at the Office of Personnel Management. 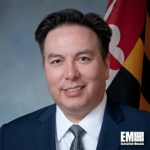 OPM said Monday Garcia led Maryland’s information technology operations over the past two years as the state CIO and secretary for its IT department. He is also the founder and chairman of the board of directors at Chantilly, Virginia-based NMR Consulting, which offers IT, program and risk management, infrastructure and logistics services to the government sector. He previously served as chief of the telecommunication and network management divisions within the U.S. Army‘s Center for Health Promotion and Preventative Medicine as well as a signals intelligence analyst and Russian linguist at the service branch.